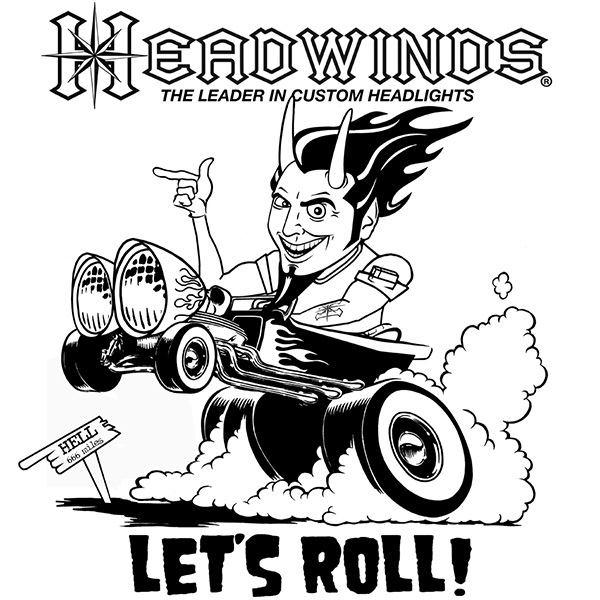 Headwinds: T-Shirt - Headwinds Let's Roll! T-Shirt - Headwinds Let's Roll! When this guy says it's time to roll, it's time to roll! Of course he's got a pair of 7" Flamed Mariah Headlights leading the way!